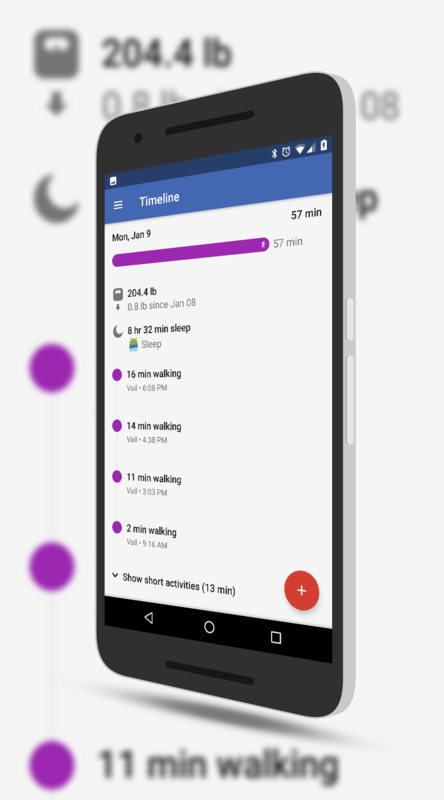 If tracking your sleep cycles is part of watching your health, Sleep as Android is an app to consider. I have been using it since the beginning of the year and have found it to be exceptionally detailed, accurate in measurement and has a huge number of configurations you can make to the app in Settings. I like the Google Fit integration as well as the ability to export my data to another service like Google Drive so I can review it at any time. I highly recommend Sleep as Android. 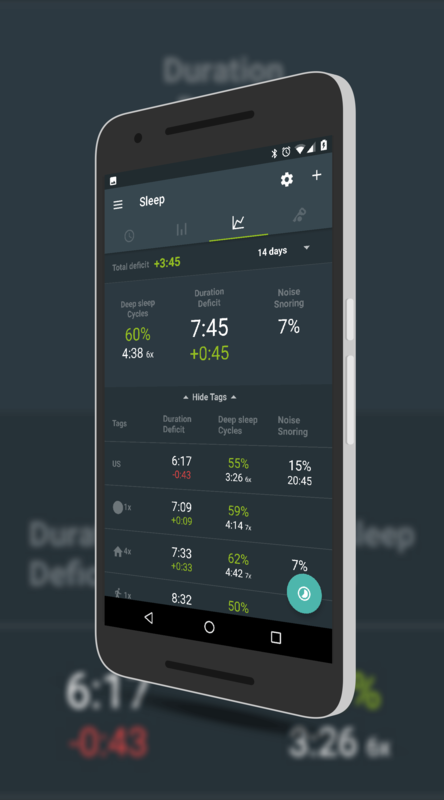 Sleep as Android is designed for Android phones and is a free install from the Play Store. There are in-app purchase available which I will discuss later which allow you to get more trend data and back up your data to external sources. 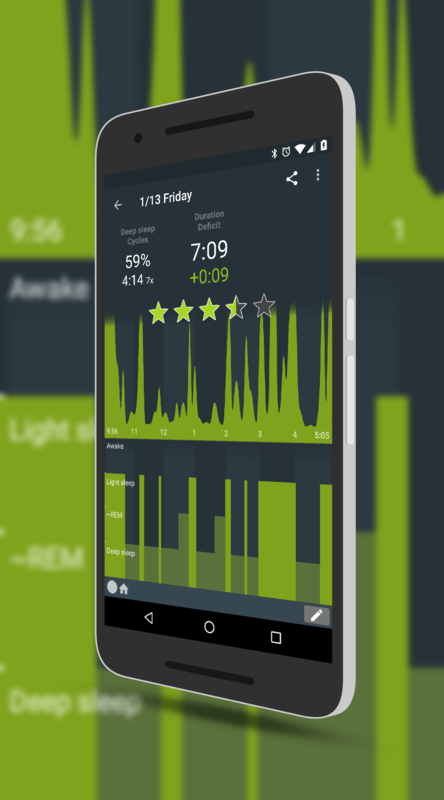 Once you open the app, you will see it is a dark themed Material Design app with top level navigation of the four panes: Alarms, Sleep Graphs, Trends and Sleep Sounds. I’ll cover each one of these sections throughout the review. use the gyroscope and accelerometer within your phone to measure movements as you sleep. The app then translates that to if you in light sleep, REM or deep sleep. For me, I have found the best position for my phone is by my pillow on the edge of my bed. It seems to be the most accurate measuring my sleep in that position. As you sleep, the app works silently and when you wake up in the morning, simply slide the toggle on the sleep screen to end your sleep and save it. If you have a hard time waking up, there is a CAPTCHA puzzle you must solve before the alarm will turn off. Each sleep cycle can be tagged and rated on a star scale by you to help identify or rank the sleep you had that day or night. With your sleep cycle captured, you can review the overall quality of that sleep. The sleep chart will show you the quality of your sleep, how much of your sleep was in a deep sleep cycle and how many minutes or hours short or over your “sleep bank” is on that sleep. For those who have not heard of a “sleep bank”, it is the amount of sleep you are over or under your target for a day, week or month. Think of it like a bank account. If you set a goal to sleep 7 hours a night and only sleep 6 hours, your bank is in debt by one hour. Conversely, if you slept 7.5 hours, you are positive by 1/2 hour for your bank. The amount of time that you set as your goal is completely adjustable within Sleep as Android but it is generally recommended that you aim for 7-8 hours of sleep per night. Capturing sleep in Sleep as Android is really that simple but there are a lot of settings that you can make to the app to customize the experience. For example, you can have the app listen to you sleep instead of using the sensors in the phone to track your sleep. This is a good way to use the app if you don’t want your phone physically in bed with you. You can also have the app record sounds as you sleep. By adjusting the threshold, the app can record you snoring or sleep talking so you can review it later. The app can also help you get to sleep. Within settings there is a lullaby setting where soothing sounds are played for you to listen to as you relax to go to sleep. These sound can be things like an ocean beach, Tibetan chants, thunderstorms or whales diving. You can also have it play online radio stations if you prefer. Once you set it up, you can have the app play the sound for a set period of time before gradually turning the volume down and off. Likewise, Sleep for Android can help you wake up. There is a Smart wake up feature will wake you within 30 minutes of your alarm while you are in the optimal sleep phase. Moving to the different panes of the app, the first you will see is the Alarm pane. Here you can create any number of alarms. You can create one for every week day or for the week and the weekends. You can also set nap alarms. Like many aspects of Sleep as Android, you can customize the alarms to fit your lifestyle best. Next is the Sleep Graph pane. This is where you can see your individual sleep sessions, tap them and review them, and tag them. The Trends tap allows you to see your sleep trends over a set period – 14 days to a year – where you can see statistics for your sleeps as well as the US averages. You can also see how you sleep at home, on the road, when there is a full moon and the like. Indeed, you can see how you slept for any tag that you have placed on a sleep cycle. At the top of this pane you will see your Total deficit. This refers back to the “sleep bank” that I mentioned earlier. Being positive here is good as it means you are getting at or more than your sleep goal on average. Finally you have the Sounds pane. If you have configured Sleep as Android to record you while you sleep, here is where you will find the recordings. You can then listen to them to determine if you were snoring or talking in your sleep. This is a great way to identify if you have a sleep disorder or if you have disruptions in your sleep because of noise. In my case, I quickly determined that I was being lightly woken up at night by my cat. She would walk around me and purr which the app picked up. The settings in the app are vast and frankly can be a bit overwhelming. The developers, Urbandroid, have really made it where you can customize this app for whatever works best for you. My best advise is to not get too deep into the settings at first. Generally speaking, what you need to capture your sleep is set up for you or enabled already. However, as you get more comfortable with the app, you can start to tinker. For example, you can setup the Smart wake up or Lullaby. You can setup Lucid dreaming which is a technique for gaining control over your dreams, you can experiment with the Jet lag prevention and so forth. Certainly explore the settings of Sleep as Android, especially if you want to turn on sound recording or integrate the data with Google Fit but I would recommend trying the app “out of the box” first for a few nights just to get comfortable with how it records your sleeping. One of the best elements of Sleep as Android is integration with other apps. You can integrate with Google Fit or Samsung’s S Health as well as sharing your sleep cycles on Twitter and Facebook. For me, Google Fit has become the single location for much of my wellness data. I have both Sleep as Android and MyFitness Pal connected to the app so I can go one place and see my sleep and nutrition information at a high level. For details, I still need to go the respective app. your Google account and from that point forward, your sleep data is pushed to Google Fit each morning. There you can see the time you slept and how that compares to the national average. Additionally, within the Services settings, you will see the option to back up your sleep data to the cloud. This is done natively through another Urbandroid app, SleepCloud. This add-on allows you to sync your data to the service so you can see your data on the web. SleepCloud is free and allows you to sync your data to the cloud once per week as well as 3rd party services like Google Drive. If you want to sync more often, there is an in-app purchase of .99 Cents to do it. Personally, once a week works for me but try it out and see if you need to unlock the unlimited syncing. In my case, I have also setup syncing with Google Drive. This creates a folder in my Google Drive and it creates a Google Sheet of my sleep data that I can review. The app comes with at 14 day trial where you can try out the sleep tracking and most of the other elements of the app. Should you decide it is right for you, it is .99 cents for the unlocked version. That is a lifetime buy, not a subscription. Likewise, if you want to use other apps and services like the SleepCloud integration, that is .99 Cents to fully unlock it. For more details and information, check out Sleep as Android in the Play Store.